Spam emails are annoying, anonymous, unsolicited messages that are sent in bulk. And email service providers (ESPs) have gotten very good at preventing them from reaching your inbox (thank goodness!). But because these filters for email spam elements are so advanced, sometimes even honest commercial mails get flagged as junk. How can you prevent your legitimate emails from being flagged as spam? Use these 10 tips. The simplest way to avoid being marked as spam is to not send unsolicited emails. This may seem like an obvious tip, but you’ll be surprised by how many businesses still buy databases. Don’t be one of them. Not only is it unethical and illegal, it’ll also ruin your reputation as a sender, kill your customer relationships, deliver your mails to junk, and could even blacklist you and mark you as a spammer. Make sure everyone you send emails to has opted in to your messages. Read our blog on Keeping Your Database POPI Compliant. ESPs calculate how many of your subscribers open your emails, click links within them, unsubscribe, or are inactive. If you constantly send to contacts who don’t interact with your email, your sender reputation may decrease to the point where your emails are automatically marked as junk, or worse: blacklisted. This is why it’s so important to practise good email database hygiene. Remove invalid and duplicate email addresses and switch off any unresponsive contacts to improve your chances of successfully reaching the inbox. 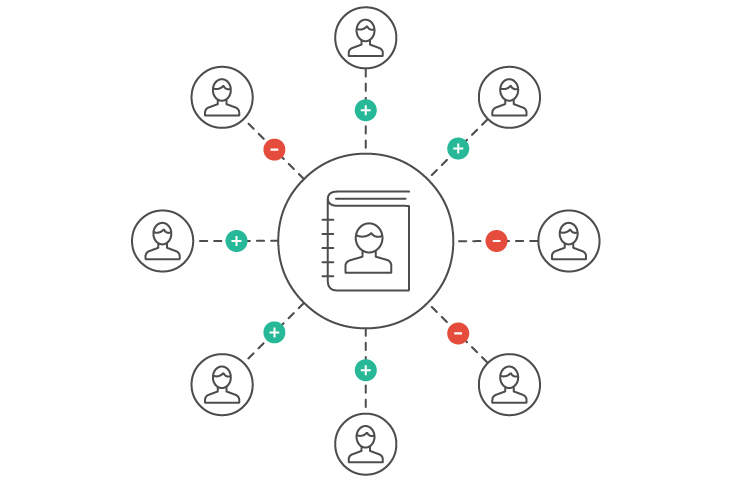 Build a trusted list of from email addresses with names that your subscribers will recognise and you’re sure to see a difference in email delivery. 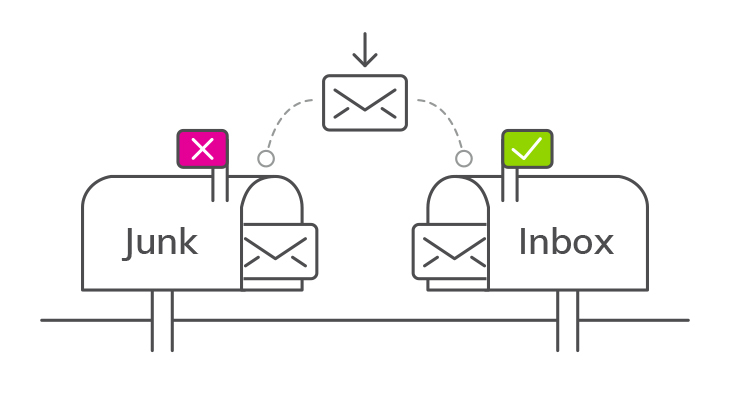 For a more in-depth look at getting your email to the inbox, download our Guide to Improving Email Delivery. There are literally hundreds of other combinations that could land your message in the junk folder. Get to know them and steer clear of them. Avoid using multiple colours, font styles, red text, and formatting. Write in sentence case – not all caps. Always include a plain-text and HTML version of your email. Remind subscribers where and when you got their information. Reduce the size of your emails by compressing images. Keep your emails short enough to be engaging, but long enough to be interesting. 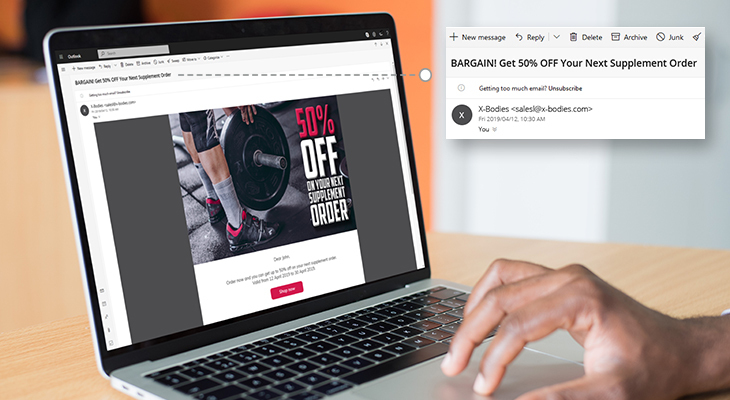 A healthy balance between text and images (70 / 30 split) is important when optimising your delivery because images are often used to hide text from spam filters. Some ESPs even block images completely, so make sure you include alt tags, so these subscribers still have an idea what you’re communicating in the image. 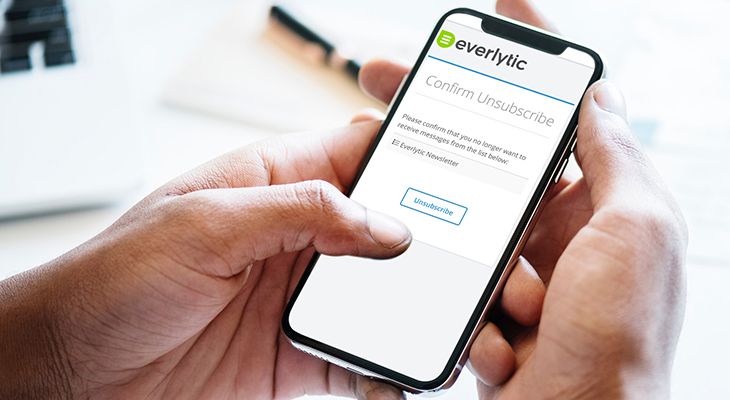 To be recognised as a legitimate sender (and avoid the repercussions for breaking data privacy laws), it’s also critical that you give subscribers an easy way to remove themselves from your mailing list. That little link at the bottom of your mail has significant legal weight. There are multiple good, free spam testers available online (like this one from GlockApps). 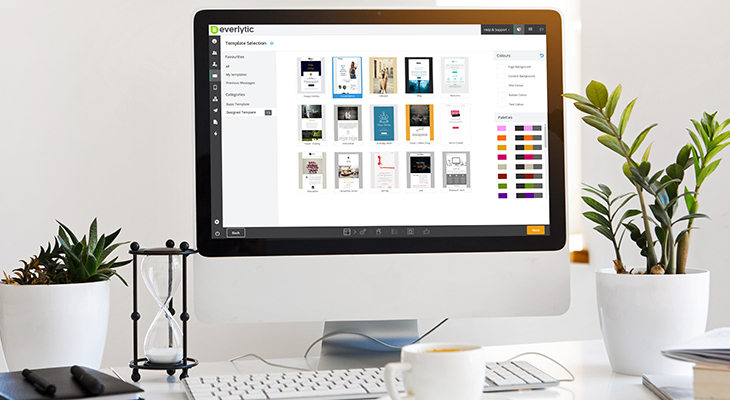 Some email marketing platforms, like Everlytic, even have them built into the system itself. Ours, for instance, scans the content of your email and assigns a score each time it comes across a spam-like element. A score over 5.0 is considered spam, but lower is always better. Choose a sending schedule and stick to it. If you send inconsistently, your subscribers may forget who you are and why they signed up to your mailing list, marking you as a spammer. Make sure your emails are consistently branded with your corporate identity too, so recipients can easily recognise you as the source. A more honest, less spammy inbox is a blessing for everyone. Use these tips to navigate your messages smoothly to the people who genuinely want to read them.